What is a weed? It’s typically a plant that you don’t want or didn’t plant. In reality a lot of herbs were once considered weeds. A ‘weed’ is just a plant in the wrong place! A lot of ‘weeds’ have medicinal and other qualities. For instance, peppergrass (Lepidium virginicum) grows wild in my own yard. In reality it’s called peppergrass for a reason. The old timers might have called it poor man’s pepper because yes, it tastes like black pepper! 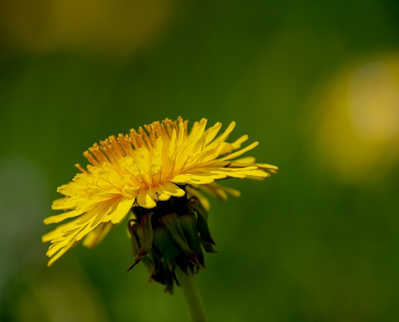 Dandelions are the bane of a pristine lawn and are not native to the US. Dandelions were introduced in the 1600’s and came in with the European settlers. They brought it over as food (all parts are edible) and as medicine as they are a good source of Vitamins A, B complex, C and D plus minerals. Note: If you’re going to eat dandelions pick them where the land hasn’t been sprayed. Goldenrod is just pretty and most people consider it another weed. 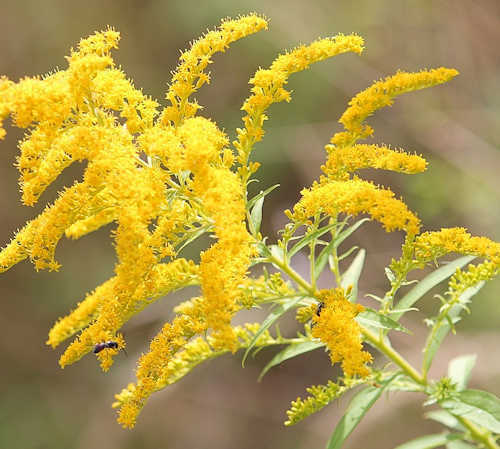 Truth be told that this plant (Solidago canadensis) has healing powers. It’s genus name, Solidago actually means ‘to make whole’ (Solidus/solido – whole and ago – to make.) Goldenrod makes a nice addition to an herb bed. All aerial parts can be used, the flowers are edible and delightful in salads. Flowers and dried leaves for tea. Native Americans used them for respiratory issues. 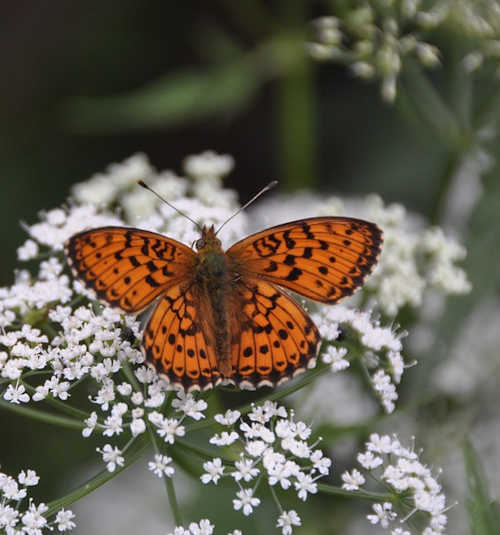 Goldenrod blooms later in the season which makes them a good plant for migrating butterflies. 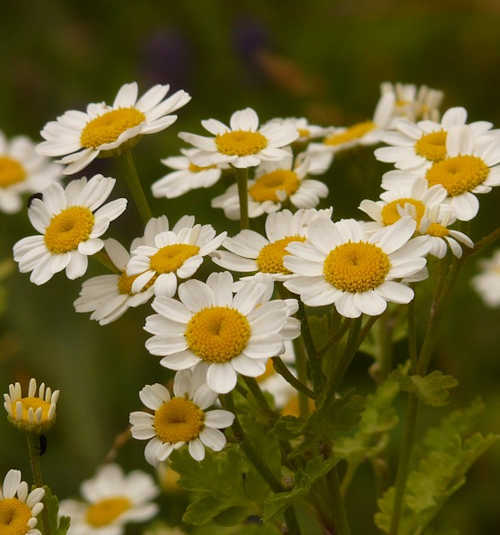 Do you have feverfew? (Tanacetum parthenium) Feverfew a perennial in the daisy family and has been used traditionally for headaches and fevers. Native Americans used this plant for a variety of purposes including insect bites and rheumatism. Here it grows wild in the fields and anywhere that’s unmowed. Note: I personally grow and use herbs but I am not a medical professional nor do I play one on TV. Opinions expressed are my own. Information is for informational purposes only and not intended as a substitute for medical advice. Our policies are available on our disclaimer page and our terms page. This post contains affiliate links below.